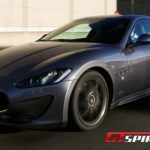 A new sportier version of the Maserati GranTurismo is now available under the name GranTurismo Sport and we were given the option to drive test one of the most stunning-looking GTs on the planet. In essence, this is a car you simply get because of its emotion, sound and looks. With the Sport the Italians made the luxury tourer even better by introducing some sportier design elements, increasing the performance and introducing the Skyhook suspension. 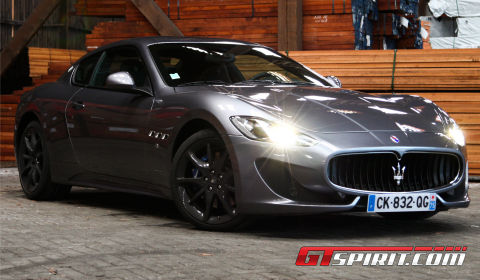 This GranTurismo Sport replaces both the GranTurismo S and GranTurismo S Automatic. The new Sport is positioned in between the GranTurismo and the GranTurismo MC Stradale. The GranTurismo Sport has a more sporty character than its elderly brother and is more civilized than its non-compromising sister, the MC Stradale. 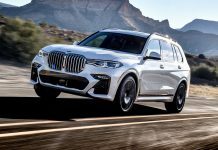 The new Sport looks sportier than its predecessor and has a few new design details such as daytime running LEDs, black oval tailpipes and in-seat headrests. The front bumper has been redesigned to improve the air flow and the cooling of the front brakes. The rear got a new set of tail lights with dark tints. The subtle design changes did not ruin the beautiful design of the Gran Turismo, only offer a slight upgrade to the ageing GT. Behind the 20 inch Astro Design alloy wheels, stopping power is achieved by an upgraded Brembo braking system with six pistons in the front and four at the back. The discs are slotted and perforated and made out of two different materials; cast iron and aluminum. They save up to fifteen percent of weight compared to the previous system. 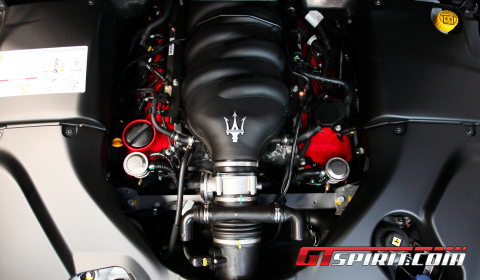 The engine in the GranTurismo Sport received a minor performance upgrade. 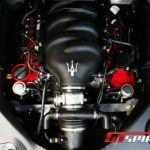 The 4.7 liter V8 now produces 460 horsepower and 520Nm torque, which is a 10hp and 10Nm increase over the GranTurismo S. There is an improved sprint time from naught to 100km/h of 4.7 seconds and a maximum top speed of 300km/h. Although it feels slightly faster, sportier and more nimble than the previous GranTurismo model, the GranTurismo S still weighs nearly 1,800kg which is quite a lot, even for 460 horsepower. The main result is the lack of any adrenaline rush when flooring the GT Sport, and a rather modest acceleration throughout the rev band. Clearly not what you expect from a sporty model! During our test days, the weather was dreadful and wet. The conditions clearly showed that the luxury GT had troubles putting down its power, even in third gear. Still the Maserati engineers nailed the balance and chassis tune for the Sport, making it a very satisfying car to drive. The best part of the Sport is the Sport button on the dashboard. It enables MC-shift gear changes, which overlap clutch movements for faster shift times. The GT also becomes more responsive on throttle and the steering. The suspension gets stiffer providing a better driving experience, which in the end is more focused on fun. The opened bypass-valve exhaust is the ultimate highlight in this particular mode. The interior is quite similar as previous models and based up on a five-year-old design. The first downfall you will notice is the hideous center stack in the dashboard. Even in the updated version, the layout of the dashboard and its old-fashioned navigation screen looks and feels dated compared to its main competitors in the market. 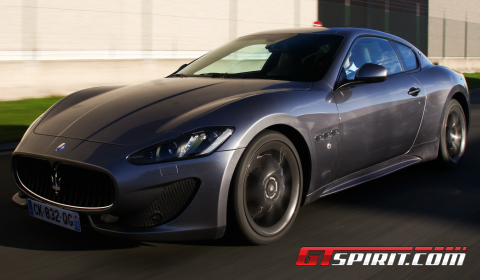 Since the GranTurismo launched back in 2007 up to 15,000 Granturismo’s have been delivered. The new Sport remains one of the best looking GT’s currently available, but it is nowhere near sporty enough to carry its name like others do, the old ‘S’ would have been more relevant. The handling, steering and brake feel do not deliver the ultimate sportiveness in sport mode. Instead Maserati went for a slight increase in sportiveness without sacrificing the levels of comfort. This sounds quite reasonable. The GranTurismo is capable of satisfying the needs when you are searching for an elegant, great sounding and long distance tourer. It will take you anywhere without feeling a real misfit and only suits a relaxed driving style. As a challenged driver you may have the urge to push that sport button, but only do it when you really want to open up that exhaust. All the other sporty features hardly offer a similar kind of thrill.